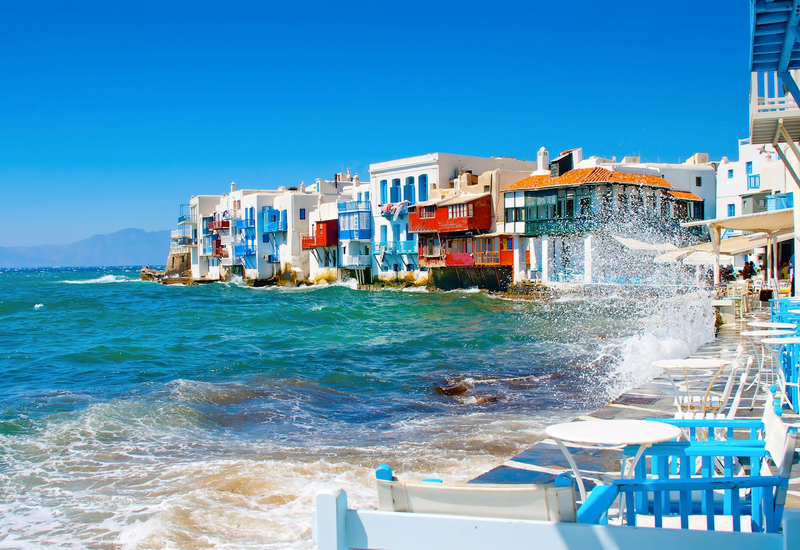 Known as a glamorous Island with lively waterfronts, beautiful beaches, stylish bars and restaurants, Mykonos is a perfect destination for family fun trips and honeymoon. At every point in the year, there are various activities taking place at the Island. However, the best time to visit this amazing Island will largely depend on your preference. If you want to visit when the Island is packed with so many people, then August will be a perfect time. Some people prefer visiting in September to October because there are fewer people on the Island; the sea is warm and perfect for swimming at this time. Other tourists prefer visiting the Island in May when the island is less crowded, and items prices are quite low. Usually, the tourist season starts in Greek Easter (April) and runs till the ending of October, while peak season commences in July until August. Here is a breakdown of how Mykonos Island operates throughout the tourist season. For a tourist who is on a budget, April to October remains the best time to visit Mykonos Island. You will have more personal space and won’t be faced with a huge crowd of people; the price of accommodation at this time is also cheap. However, there are fewer activities taking place at the Island during this time, and there are no guarantees of having chilling weather. The nightlife is also very quiet because only a few bars are open with something going on. This is also an excellent time to visit Mykonos for travelers who do not want to experience too much crowd; this season is also perfect for gay couples. At this time, the weather is great, most shops are open, and nightlife is thumping. Beach parties commence with DJs in mid-June while club events take place at the end of September. The prices of hotels at this time are higher than the low season. At high season, actions in Mykonos are non-stop. The Island is always very busy in July. The weather is usually hot with lots of beach parties, and the bars are going crazy with so much fun. Until mid-July, you may still find accommodations that are at a very reasonable price. August is usually the busiest month of the year; you will find so many club parties, the wildest nightlife, the hottest weather, parties are full with speed, and almost all bars are congested. You will also enjoy swimming and sunbathing since the sea is at its warmest level. November to March is known as the off-season period; there is little activity going on in Mykonos Town, you will also find discounted rates on all accommodations, the weather is cool, and the Island is so quiet at this time. However, there is plenty of rain and chilly wind. Angelina is a regular contributor at The independent.